A Scottish castle ring complete with thistles and Scottish lion shoulders. 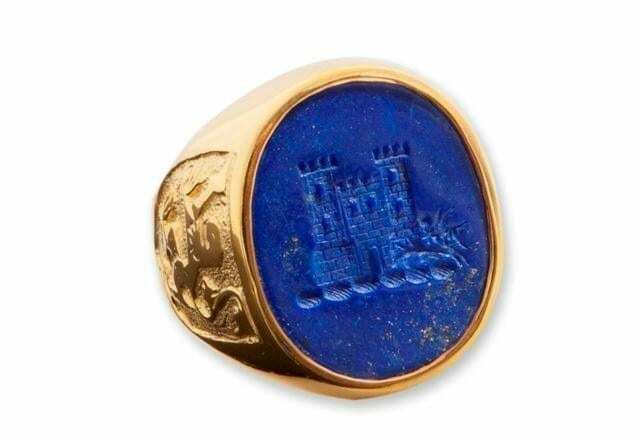 A lovely oval of Lapis Lazuli and superb engraving. 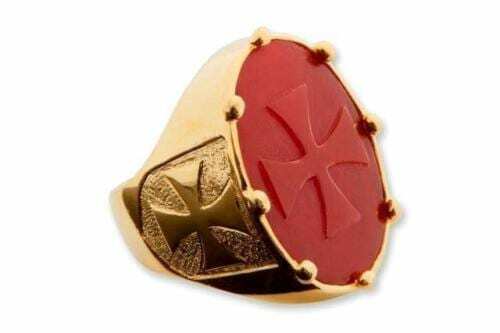 This is a wonderful ring with a real Scottish flavor. 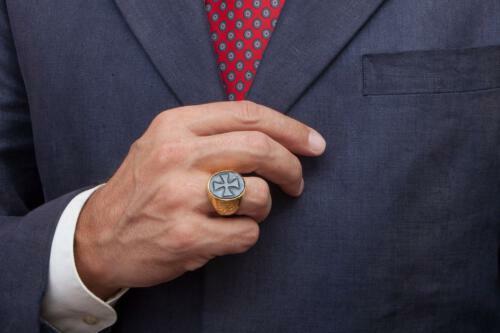 We hand-engraved this lapis Lazuli Scottish castle ring complete with thistles. The engraving is excellent and the stone a lovely example. Castles feature in many heraldic designs. 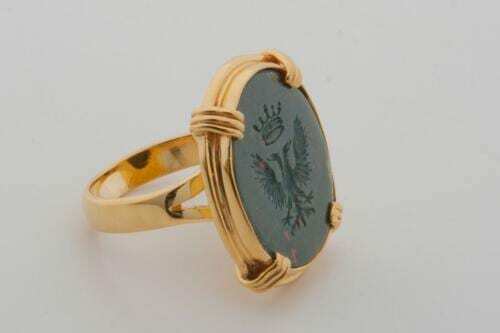 We think that this one works well on one of our heraldic rings. 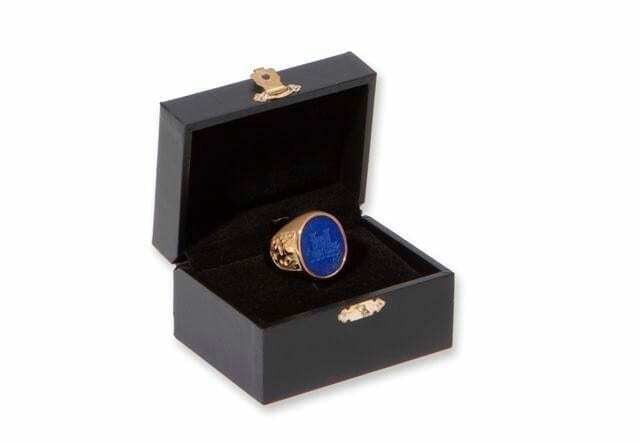 To purchase this Lapis Family Crest Castle Ring just add it to your cart and proceed through checkout. We use PayPal for payment but you do not have to have a PayPal account to pay with a credit or debit card. 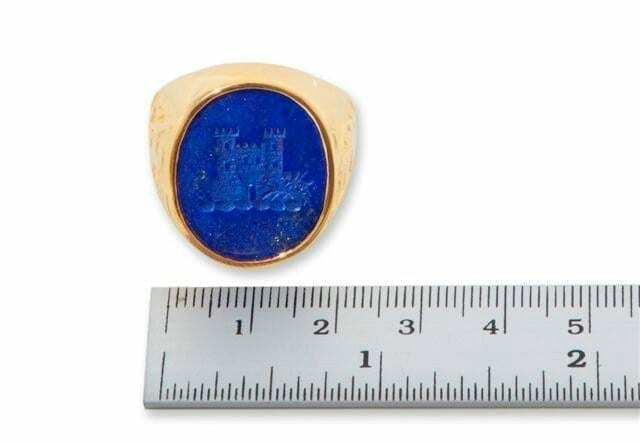 We include sizing this lapis Lazuli Scottish castle ring to fit your finger in our price so please let us know your ring finger size when ordering. If you do not know your size please select ‘Not known – Supplied later’ from the ring size options. Please forward your ring finger size ASAP to avoid delays. We cover all our jewelry with a 30 day warranty so you can shop with confidence. 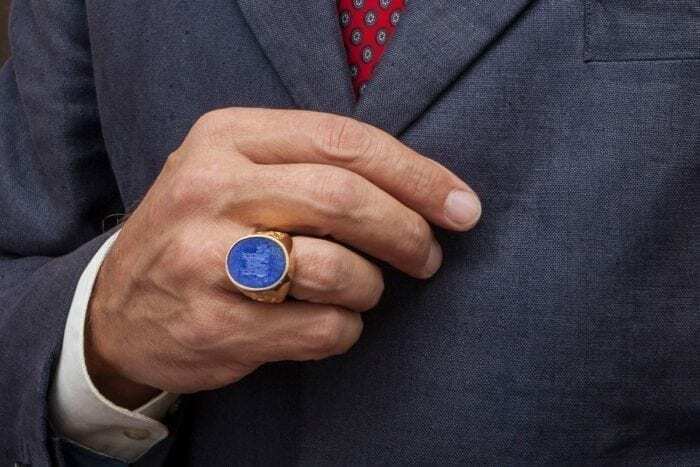 If for any reason you are not satisfied with your Lapis Family Crest Castle Ring you can return it within 30 days for an immediate refund or replacement. 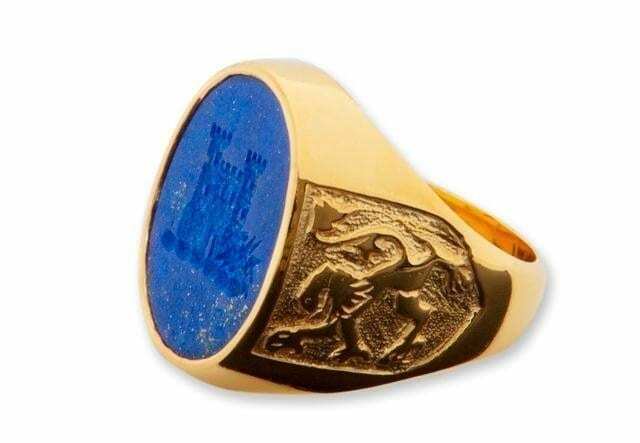 Please buy this wonderful Lapis Family Crest Castle Ring now and you could be wearing it in just a few days.